Green Comotion: An odd ball? 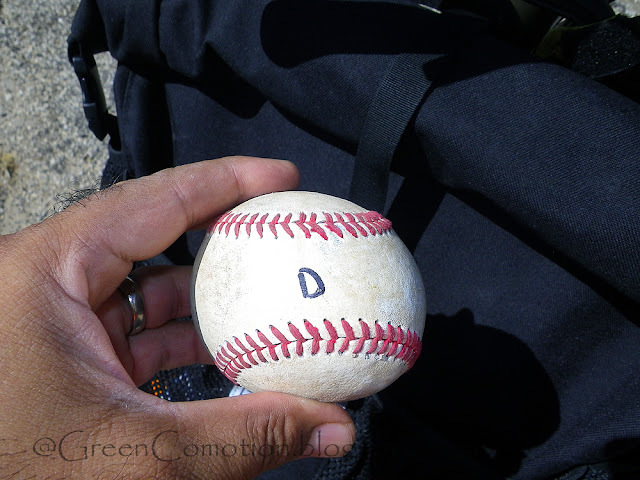 I found this baseball stranded on Valley View lane, last weekend. I decided I will bring it home and give it home to Chaka, for her to play with. I am sure this ball has seen better days, but why not recycle the ball one more time before it is put to rest? I am not sure who D is. Hey, D, I am sorry you lost your ball, but you can rest assured that it is being put to good use. 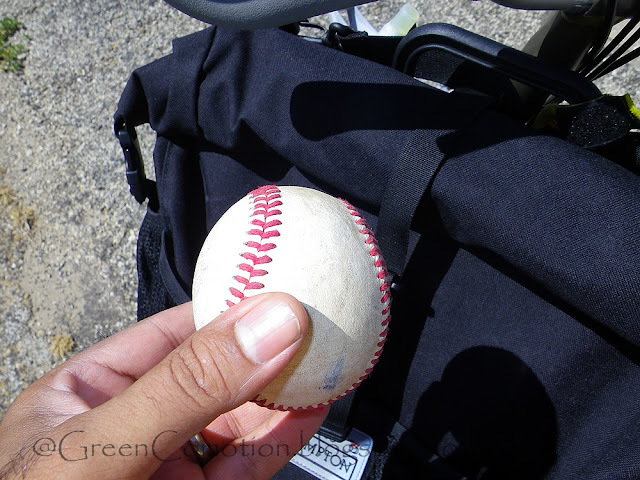 Now, do you think I would have stopped to pick-up this ball, had I been driving in a car? Possibly not! One more reason to enjoy cycling - you find some really cool stuff along the way!